I was in New Orleans last week during the first week of Mardi Gras. It has been one of those things that I always wanted to do. Oh, I've been to New Orleans several times, just never during Mardi Gras. The last time I was there was the March before Katrina. I was pleased to find that pretty much nothing has changed in the French Quarter in the nine years since I was there before. But enough about the past. 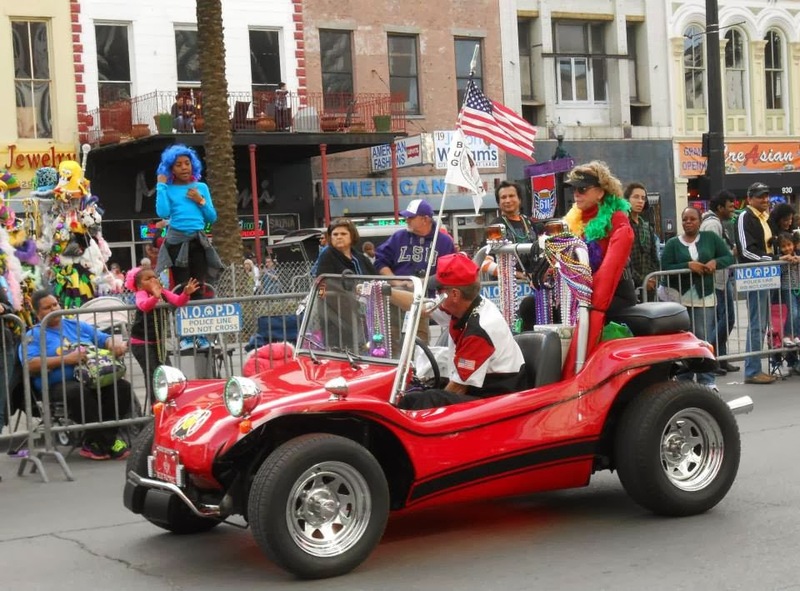 I can now say that I have truly experienced not one but at least six Mardi Gras parades. And I've got to admit that, despite the crowds and the waiting and the inclement weather, it was pretty darned fun. And I caught my share of beads and doubloons. And all I had to do was stand there and wave my arms. 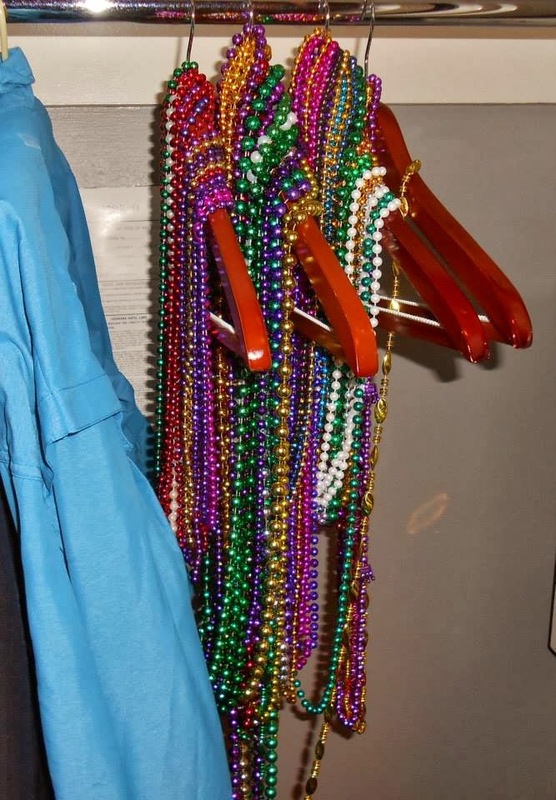 Despite what many people think, you don't have to flash to get beads (except on Bourbon Street). You do need to pay attention though. 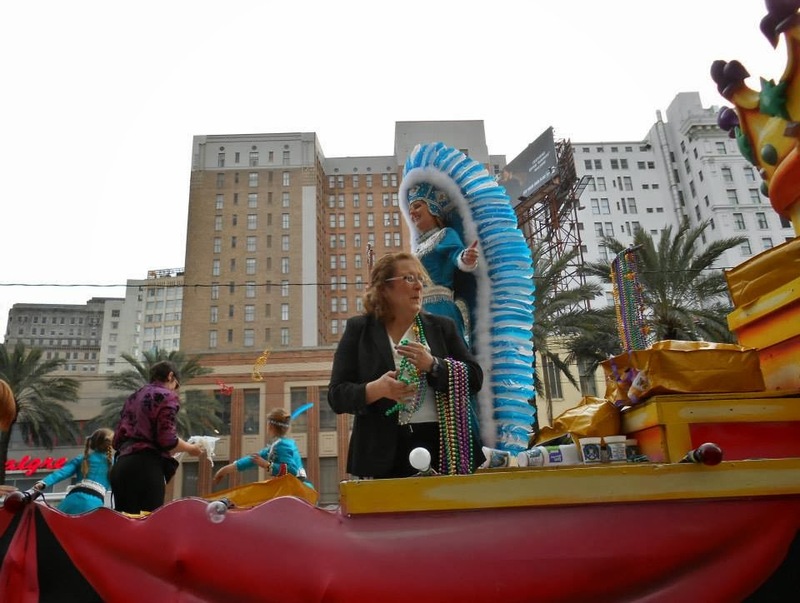 I swear the people on the floats throw unopened bags of beads at the heads of people looking the other way. It is an odd ritual. As is the ritual of coffee and beignets at the Cafe Du Monde. You do it because everyone says you need to. And the French Market really doesn't have anything French in it. You can buy lots of alligator heads, beads (like you need to buy them) and t-shirts with things written on them like, "I have the body of a god...unfortunately it is Buddah." Don't eat at Jimmy Buffet's Margaritaville unless you really like non-stop videos of Parrot Heads. The food isn't anything to text home about. Try Mother's if you want genuine New Orleans food. Because apparently genuine New Orleans food has to be served cafeteria style in a dive with tables and chairs from the 1950s (which seems to be the last time they were cleaned as well). And it all has to be served up in one big congealed mass. The Rain Man would definitely have not enjoyed eating at Mother's. The bread pudding was to die for, however. Bourbon Street was as skanky as I remember it. 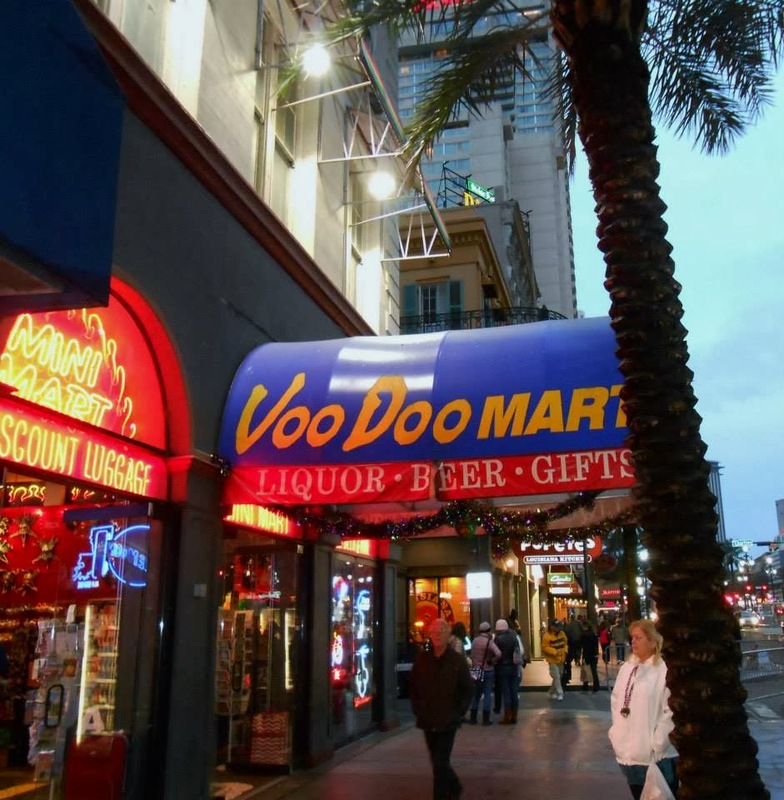 The most memorable thing I heard while walking along Bourbon Street one night was a drunk girl standing under a balcony looking up at some frat boys. She slurred out to one of them, "You look real cute. Can I come up there and kiss you." Despite its sometimes tacky, shabby and seedy side, I still love New Orleans. There is no more interesting or charming city nor a place with an atmosphere of mystery that you can slice with a Ginsu knife. You just have to overlook the voodoo dolls and cheap Mardi Gras masks that are all made in China to truly appreciate it. I've always wondered if it was a madhouse. Sounds fun and a lot tamer than I've been told. You should have flashed though, you know, just to see what they threw at you. Now keep in mind this was only the first week of Mardi Gras leading up to Fat Tuesday. So I can't say it wasn't a madhouse then. And I didn't spend much time on Bourbon Street. That is where much of the crazier stuff takes place. And I can only guess that if I flashed it would have been responded to with something unpleasant.